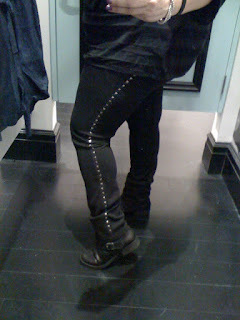 Cid Style File: Forever 21, Mia Tyler & Me! This past weekend on January 23, 2010 Forever 21 open its newest flagship store in Cerritos, CA. So obviously I went for the grand opening. The new F21 store promised to be bigger and better than all the rest. Yes it is! The store is huge taking over an old Mervyn's inside the Cerritos Mall, 2 floors busting with all the collections they offer. The store had all the collections: Heritage 1981 (men & women), Love 21, 12 by 12, Twist, and even the new resort collection. 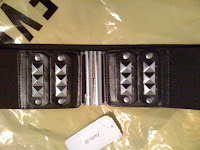 Along with a huge jewelry selection, shoes and other accessories. The store also had a large make up & cosmetics section which is new line love and beauty. 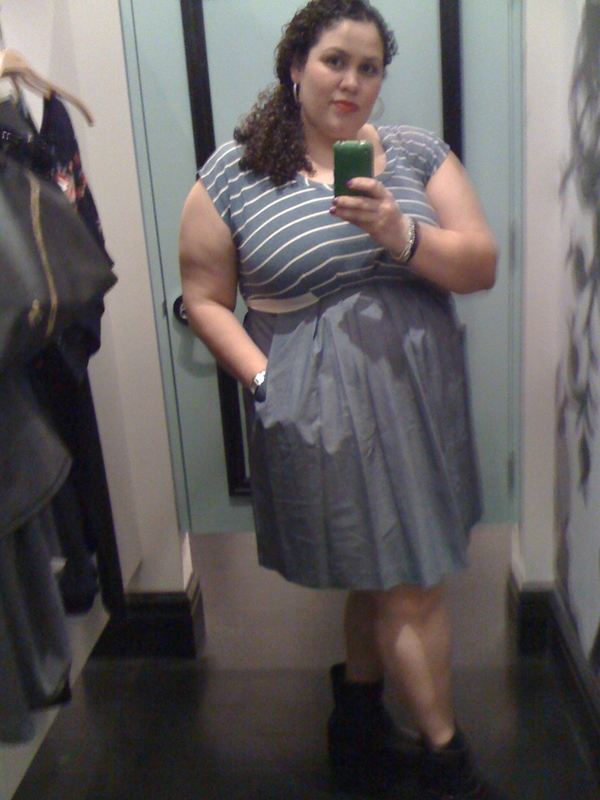 Last but not least they have the faith 21 plus size, or as F21 calls it "extended sizes." I obviously went to the new flagship store to check out the faith 21 line, after seeing online they had added 3x to the collection. Also being a brand new store I expected and hoped they had a large variety of styles and sizes. The faith 21 section was upstairs in a corner like in most other stores, but a bit larger and more variety. I must admit I got a bit excited, the store is big, bright and over flowing with all the forever 21 goodies! Being it was the grand opening it was so crowded, and full of shoppers, you could hardly browse through the racks. I did manage to find a few items that caught my eye, I wanted to try on, but the lines for the dressing room were out of control. They did have many items specially marked for the grand opening so I picked up a few and bought them with out trying them on...risky I know. Especially since I was told they were considered clearance and final sale. Go figure new items at the opening of a new store sold as clearance. Oh well I took the risk! Yesterday on twitter I saw someone retweet a tweet from Mia Tyler, the tweet said "Come keep me company if you are near the Cerritos Mall... I'll be shopping and filming for the pilot of my new show too!!" Mia Tyler was there with the winner of the fatih 21 most stylish girl contest. The winner Jenna Riot, and Mia Tyler shopping as well being filmed for Mia's new reality show. No details about the reality show yet. Both girls looked beautiful and stylish, actually Jenna looked a bit like Mia, when I first saw her in the store I thought she was Mia. I sadly did not get a picture of either girls, I did get to talk with Jenna briefly as she shopped. I commented on her awesome booties she was wearing. Jenna was very nice and friendly, she looked very happy and excited to be shopping with Mia. Like I said I was not able to take pictures of either of them, nor do I have more details about Mia Tyler's reality show, but I am sure she will tweet more info so be on the look out. Hey maybe you see me in the show, shopping in the background of the forever 21! HA! 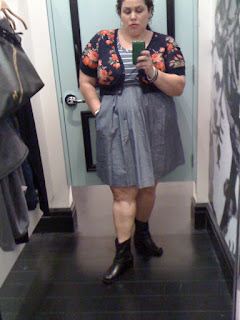 probably not but, I did get to shop and finally try on some things I have been stocking from faith 21. Some I bought some I did not, still on the fence about a dress. Take a look a my picks and help me decide if I should buy or pass! All pics were taken with my iphone, so the quality is not the best, but you get the idea! Flower Shrug not online, forgot the price. Did not buy it was not sure if looked good on me, maybe its too short! Not online either, but I loved them and will definitely get them. I love to hear your comments & thoughts about shopping at forever 21. How cute is Jenna Riot!? Oooh, love the studded belt and leggings! 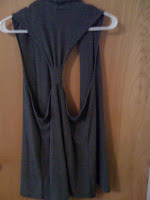 The flowy vest is adorable too (the racerback is fab)! 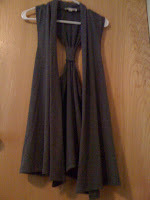 I adore the dress, the light grey skirt of it is gorgeous. 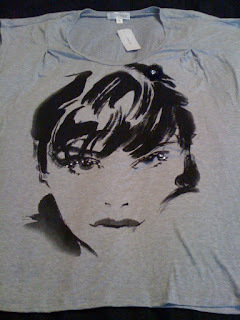 I love the face t shirt too, shame we don't have F21 here! I love Forever 21 but you need to be careful when returning items. They can be horrible! I tried returning a dress but I didn't have a receipt. I was told at one Forever 21 that they didn't carry that in their stores (liars, as I saw plenty of them there... whatever!) do I went to the store where I originally purchased it and the manager said that they didn't carry those dresses anymore. They weren't even on stock. LIARS! They had a whole bunch on their 2nd floor. Whatever! They give you the run around if you want to return something and if you do manage to return a purchase, they only give you store credit. So make sure you LOVE your purchase, otherwise, you're going to have a tough time trying to get your money back.